Olympus announced today that it will launch a new Micro Four Thirds–based digital camera — the Olympus PEN E-PL2 — in February. 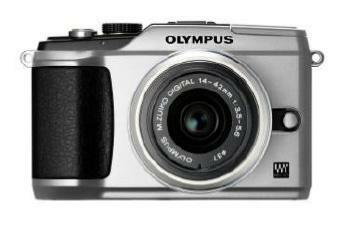 The Olympus PEN E-PL2 is an entry-level interchangeable lens camera and the successor to the E-PL1. The camera has a 12.3-megapixel sensor and uses the TruePic V processing engine. It includes the latest version of the company's Art Filters, including Pop Art, Soft Focus, Grainy Film filters and Dramatic Tone filters. Art Filter settings can be customised and different filters can be combined. The company also unveiled a new range of accessories for PEN digital cameras. Olympus launched three converter lenses —FCON-P01 (fisheye), WCON-P01 (wide) and MCON-P01 (macro) — that can be attached to the M.ZUIKO DIGITAL 14-42mm f3.5-5.6 II kit lens of the E-PL2. Other accessories include a "macro arm light" (MAL-1) for the E-P2 and E-PL1, a Bluetooth dongle (PENPAL PP-1) for the E-PL2 that can directly transfer photos to compatible devices, and a camera case that allows you to use the E-PL2 up to 40 metres underwater (PT-EP03).